Today, Keppel KBS’s shares from the rights issue starts trading, and we have an announcement this morning that they made an acquisition. This is not new, as there were some warm rumors that the Westpark acquisition was not the only acquisition. 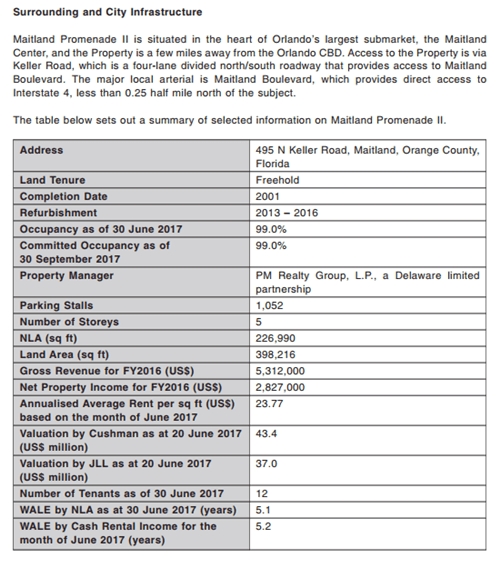 Keppel KBS would be acquiring Maitland Promenade I from The Realty Associates Fund X, which is an unrelated third party. The acquisition will come up to US$48.5 mil. This is much smaller compared to the previous acquisition. 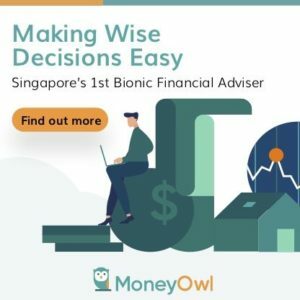 My initial question would be that, back in my article about Keppel KBS’s rights issue and withholding tax debacle, KBS set up this new company and I thought that was more for tax planning purposes. In any case this acquisition will be funded by debt. Not much was mentioned about the CAP rate for this acquisition but the following information. The profits was computed for roughly 320 days, so we have to annualized to 365 days. Since it is net profits before tax, it factors in the debt interest expense. The increase in profits should be $1.17 mil. In June 2017, the Net operating income was $3.1 mil and valuation at $43 mil. This puts the stabilized CAP rate at 7.2%. This purchase definitely look more expensive and the cap rate definitely have narrowed in 1 year. Maitland is a suburban city. 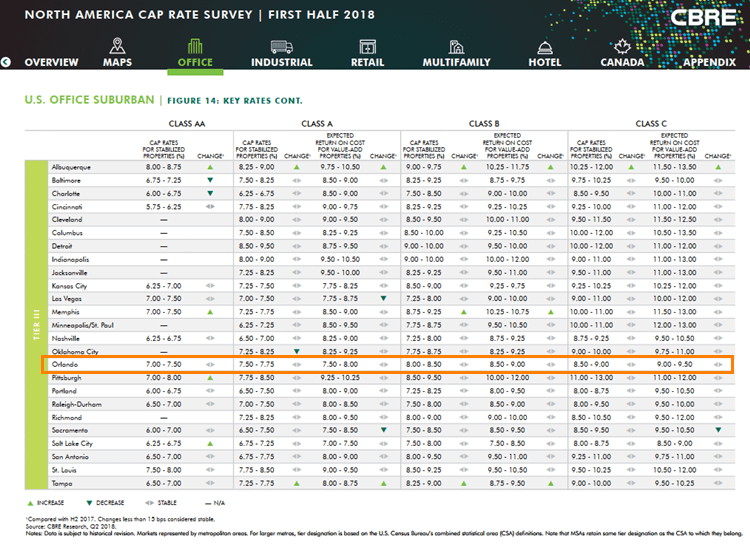 The table above shows the H2 2018 CAP rates. It looks like class A rates are still pretty high at 7.50 to 7.75%, which makes this acquisition looks a little more on the high side. 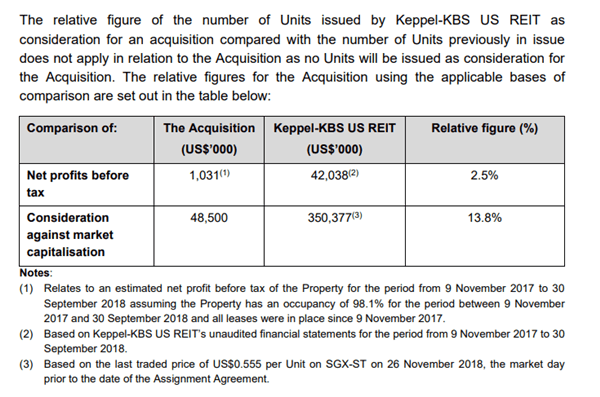 Keppel KBS says the deal is accretive, and it should. the DPU published shows a bump in dpu from 4.96 cents to 5.08 cents. However, this is always inaccurate since the time period is wacky. I did my best to work out the numbers, by continuing with the figures that I use in my previous KBS article. The DPU would have risen from 5.65 cents to 5.79 cents. At current share of US$0.55 the dividend yield would have rose slightly from 10.2% to 10.5%. Since this is funded by debt, the leverage gets eerie close to 40%. I think what KBS want to do is to get this under the same management so that they can have synergy in tenant leasing. However, the name of the place, according to my friend Caveman, is inauspicious. If you pronounce it wrongly it will be called Mati Land.